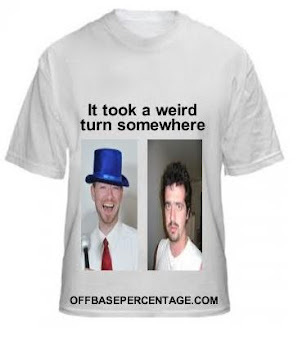 Off Base Percentage: Let's Make Fun of Carl Pavano! Wow. It's like Christmas morning, except instead of a new bike or a pot of mashed potatoes, it's Carl Pavano failing at his job and then acting like a 7-year old in the dugout! Merry Christmas to all, and to all a fantastic video of Carl Pavano following his little league pitching performance by going into the dugout and swinging a bat at inanimate objects!